The CBI is a not-for-profit membership organisation that aims to secure influence for its members and offer them the insight they need to grow into the future. The CBI represents their member's views; they work with policymakers with the goal of delivering a healthy environment for businesses to succeed, create jobs and above all to flourish. The CBI supports 19,000 businesses from a range of sizes and sectors. Overall, they employ roughly about 7 million people. The CBI can help shape pro-enterprise policies, which firms need to continue their growth. Using their knowledge and multi-sector expertise the CBI helps companies grow. It conducts market leading surveys, forecasts, and analysis. 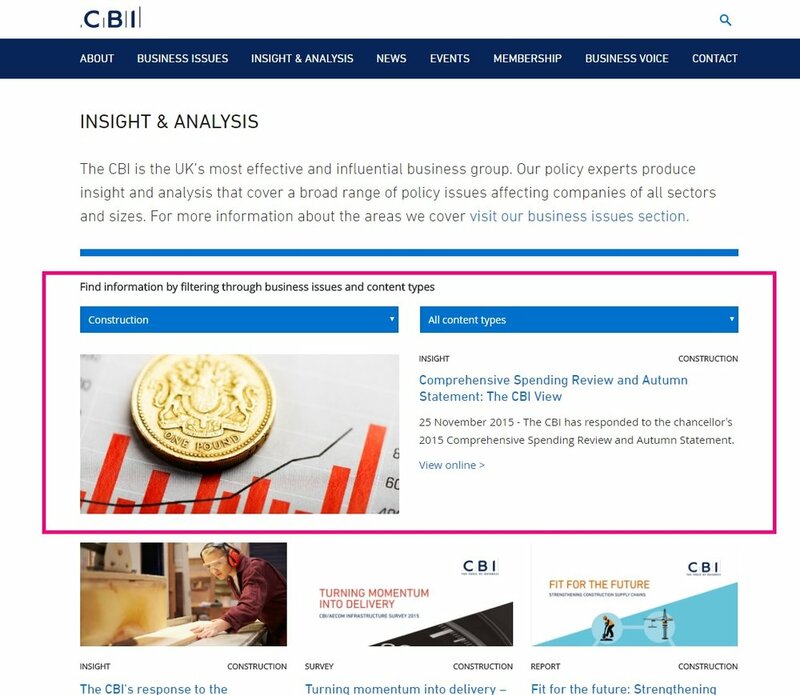 Furthermore, the CBI offers practical support and advice on policy changes and the issues that impact on business success. The CBI has significant reach thus allowing their members to contact higher-ups in both the political and business spheres. The CBI describes itself as the “The UK’s most effective and influential business group”. It produces insights and analysis which can be used by companies of all sectors and sizes. Their content is freely accessible for anyone on their website. From the homepage select “Insight & Analysis”.